I'm setting up my SageTV HD100 today and one key components is the HDMI cable that I'll use to connect the HD extender to the LCD television. One thing I learned long ago was to not buy my theater cables from the big-box retailers. That includes Best Buy, Circuit City, Walmart and the others. Instead save yourself a bunch by purchasing online. 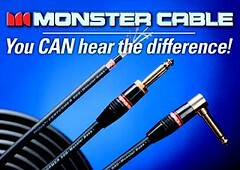 Best Buy sells the fancy packaged, 16' Monster Cable - Ultra Series 800 HDMI A/V Cable for the low, low price of $149.99 (plus tax.) Note that this cable isn't rated for in-wall installation. Monoprice.com, my favorite retailer for these things sells a HDMI Tin-Plated Copper CL2 Rated (For In-Wall Installation) Cable (22AWG) - 30ft (Gold Plated) for $36.87. Feel free to add shipping cost to this and you're still way below the big-box cost. Shipping is very quick and you have a better cable for less. Next time you have a Home Theater project, do some homework and shop around to save yourself in places you didn't expect. Trust me, you'll need that money for something else in your home theater. If you're still not sure, check out this post on the SageTV forums where the subject was discussed recently. Plenty of happy customers to choose from.